I really wanted to put together a look that could work as a casual outfit or as something a bit more dressy. I also thought that my JumpFromPaper purse would look great with a Batman inspired outfit. 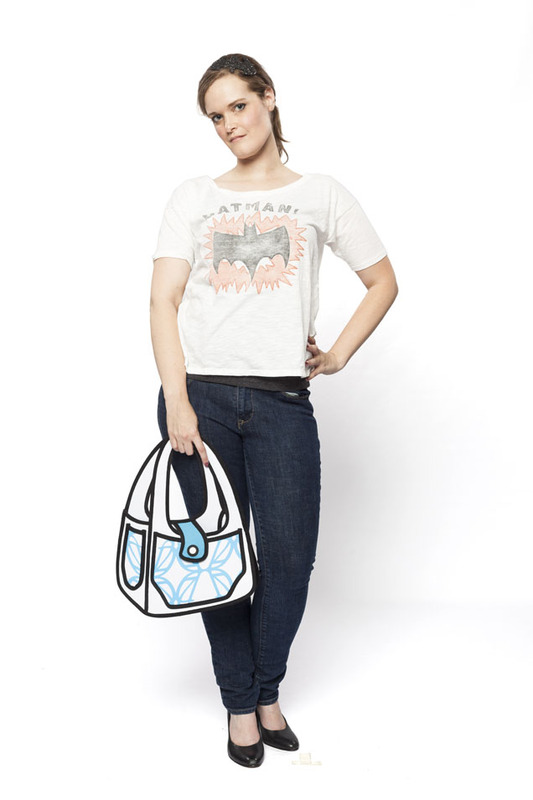 So channeling a little bit of Adam West, this outfit features a vintage shirt, a DIY fascinator, and a fun 2d purse. Once I saw this top, I knew I had to get it. I loved the bold design and the subdued, vintage look. 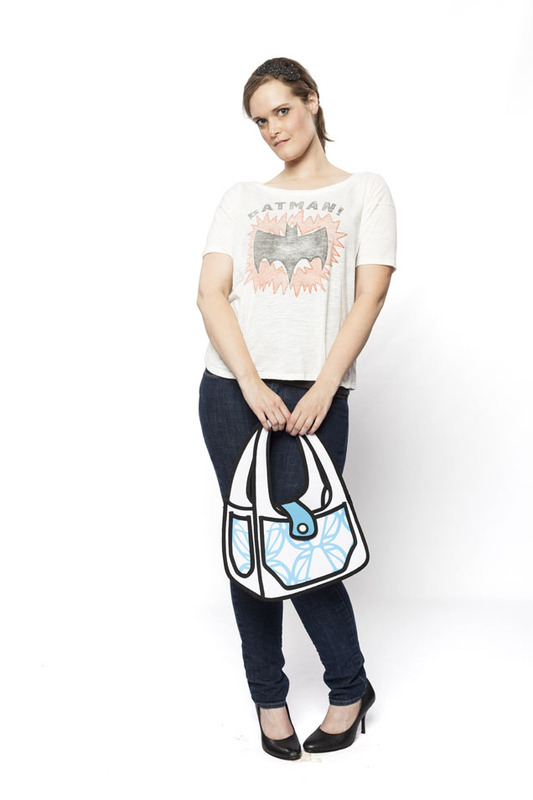 I originally picked this up at ThinkGeek, but since they don’t carry it anymore, you can grab it here from Junk Food Clothing. 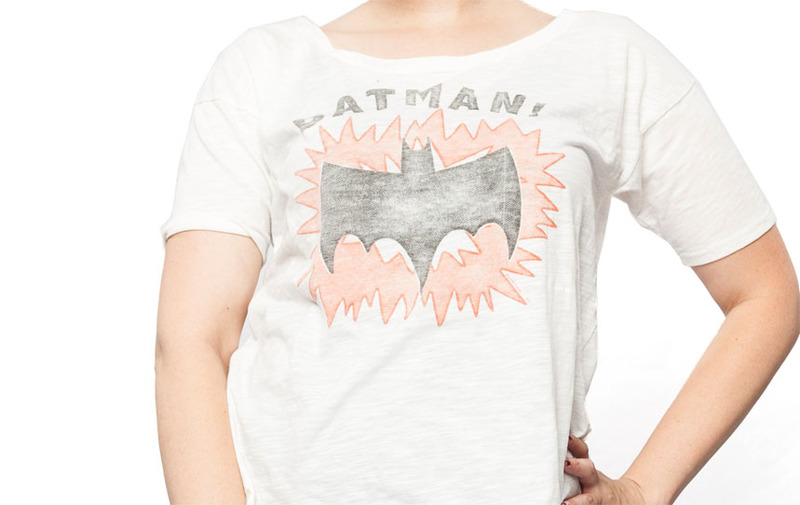 If this particular top isn’t your style, they carry even more Batman (or Batgirl) tops that you could nab. For cooler weather, you could switch out this top for an off the shoulder, long sleeved tee like this one. I decided to go with a dark pair of skinny jeans to bring more attention to the top and to keep the outfit a little more casual. The accessories were my favorite part of this outfit. 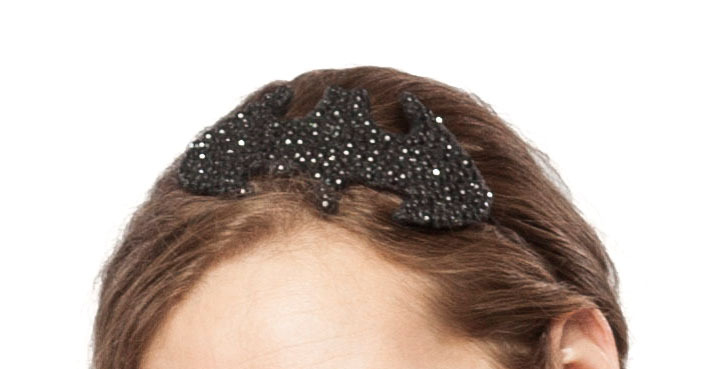 I had made a rhinestone Batman fascinator a few months back, so I decided to try it out for this outfit. I’ll definitely put up a DIY for you guy in the future, but in the mean time, one of these POW or BAM fascinators would look amazing! 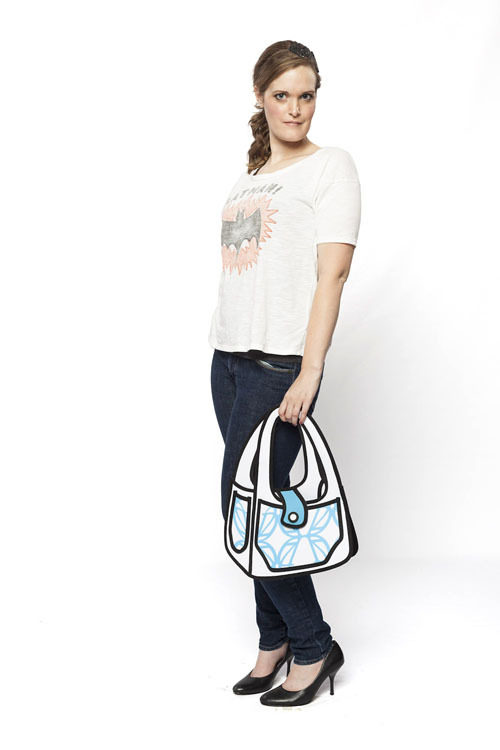 Of course, the star of the outfit is the JumpFromPaper purse I picked up back in June. I love how much it pops and think it bring the right amount of classic comic to the outfit. Check out the other styles they carry! Remember, we’re always on the look out for fun chic geek outfits from our readers, so please share with us! Feel free to contact us through our blog, or on our Facebook Page. And don’t forget, we’re also on Twitter, and now on Instagram (username: settostunning)!